"Pennies for Paws" donations received by the bucket full! The above photo is of a sweet young lady, Amber Gray, donated a bucketful of pennies to the CCAPL! Thanks Amber! 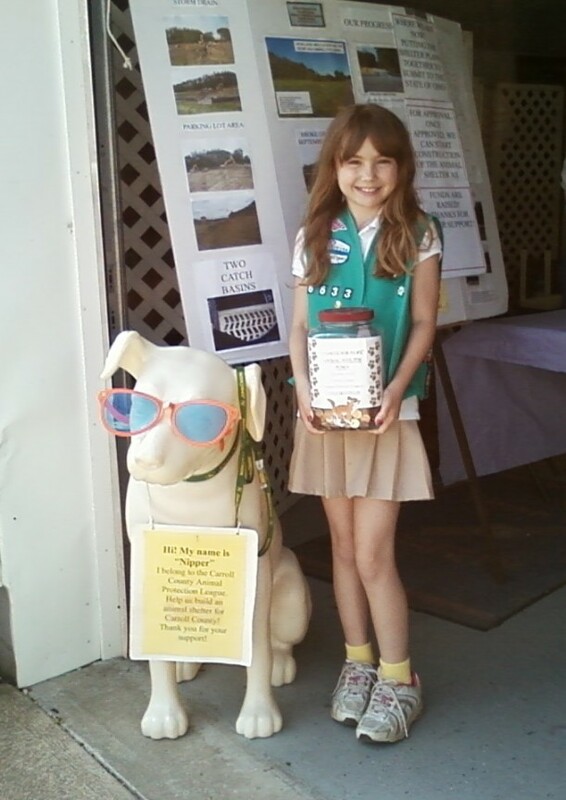 This is 10-year-old, Paige Rohr a Girl Scout who has collected and donated a jar of "Pennies for Paws" to the Carroll County Animal Protection League-Thanks Paige for your donation and for doing this community project for us! 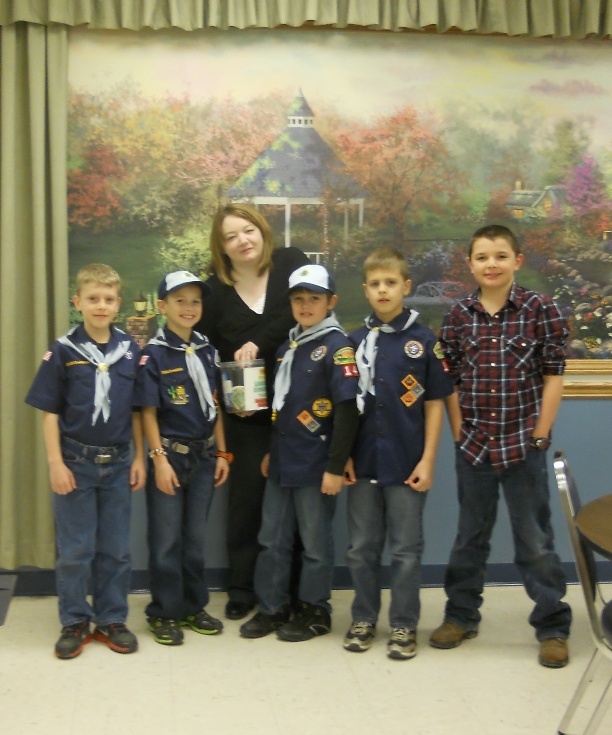 This is Bear Cub Den Cub Scouts #144 presenting their "Pennies for Paws" to our Treasurer, Patti Willoughby, at our January 5th, 2012 meeting. We thank these wonderful young fellows for their efforts and interest in our organization and for their donation! Total amount collected and donated was $44.92. They collected this money from October 2011 to January 5th, 2012. Thanks again, Bear Cub Den Scouts #144! 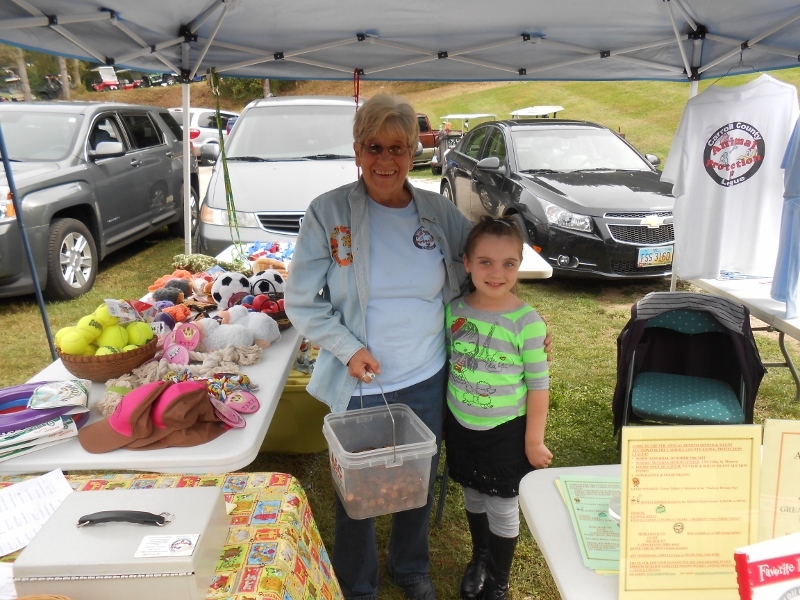 This awesome young lady donated to the CCAPL her collection of "Pennies for Paws" on May 26, 2012 at our 3-day rummage sale held at Garner's Auction Barn over Memorial weekend. 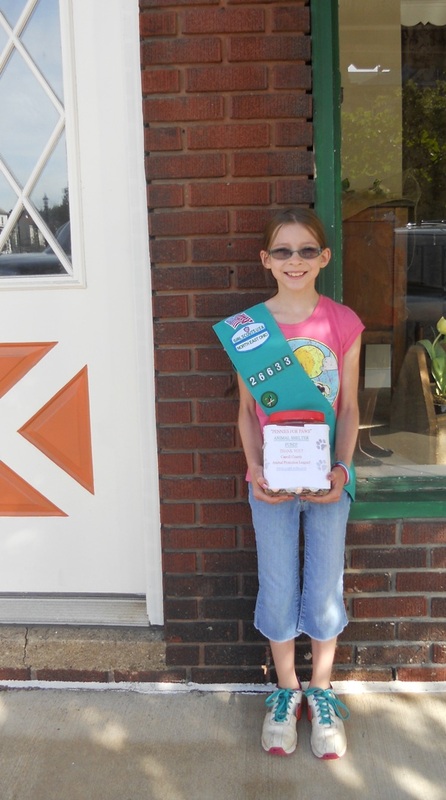 She is Jessica Lautzenheiser, 10 years old, from Kensington, Ohio, and she is a member of the Girl Scouts. She did this as a "community service project" for the Girl Scouts and we are so thankful for her efforts and support of our organization! Thanks, Jessica!